Experience the extravagant elegance of rail travel with Safari365 and enjoy unparalleled views of Africa's magnificent landscapes and enigmatic sights with a 1600 kilometre journey, linking Pretoria to the majestic Victoria Falls. Day 1 - 2: Capital Park Station, Pretoria. 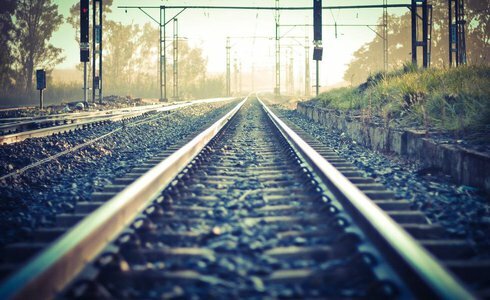 Your luxurious journey begins as Rovos Rail departs from its private and historic Capital Park station, situated on the outskirts of Pretoria. 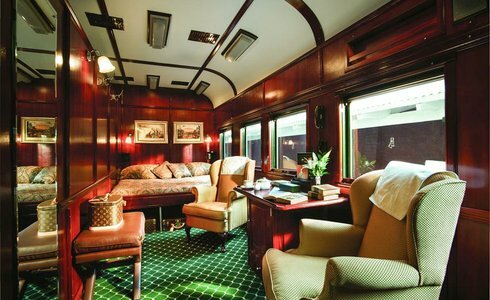 As you step aboard on one of the most luxurious trains in the world, you are greeted by classic remodelled and beautifully refurbished wood-panelled coaches. Recapturing the romance and atmosphere of a bygone era, Rovos Rail has all the necessary facilities, ensuring a smooth journey.Lunch is served en-route to the peaceful town of Zeerust. After traversing the picturesque Magaliesberg Range, dinner is served as the train meanders westwards through Mafikeng and into Botswana. Breakfast and lunch is served en-route. Crossing the border with Botswana, the train slowly heads north, breaching the Tropic of Capricorn. Relax and sit back as the most varied scenery unfolds beyond the train's enlarged windows. After passing through the dry reaches of Botswana, you then arrive at Plumtree in Zimbabwe. A sumptuous dinner is served in the charming Victorian atmosphere of the dining cars, before retiring to your carriage for the night. Following a hearty breakfast, the day's scenic train journey will take you through Thompson's Junction and the Hwange Game Reserve where wildlife can be spotted from the train. 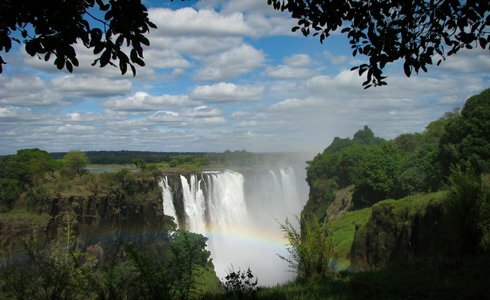 After a final lunch on board, Your journey ends at the iconic Victoria Falls on the mighty Zambezi River, where a wide variety of activities and attractions await.